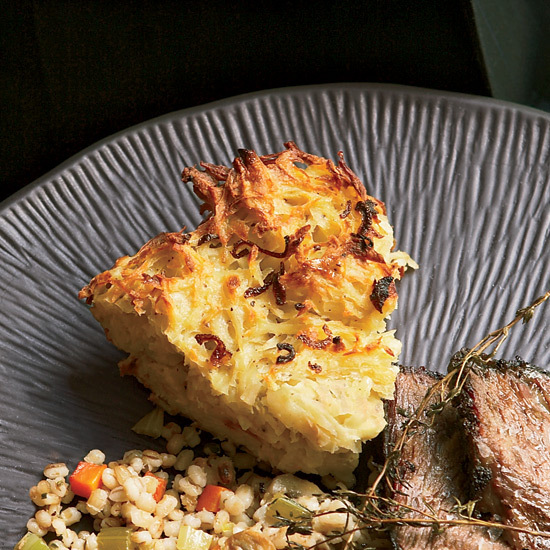 The Top Chef judge and F&W Special Projects Director's favorite recipes from horseradish brisket to rosemary matzo ball soup. Rubbing prepared horseradish on the brisket and whisking it into the meaty sauce punches up the rich flavors here. 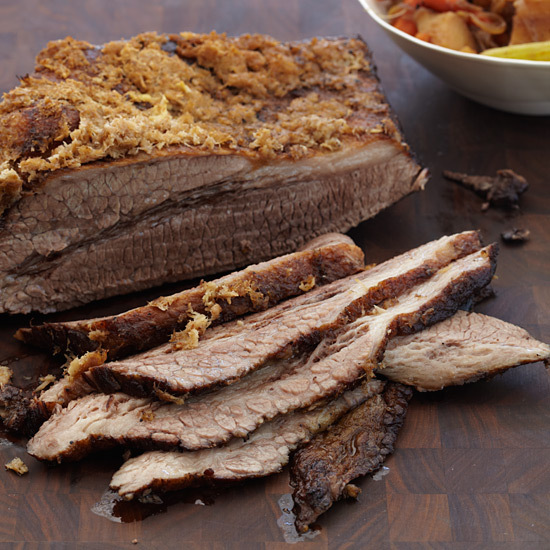 Like most braised dishes, this brisket tastes better on the second or even third day. 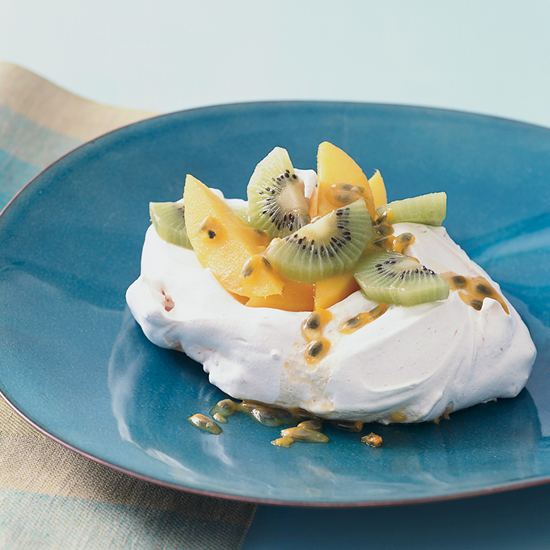 The kiwis and mango that fill these airy, low-fat meringues are high in vitamin C and other antioxidants. The low-calorie passion fruit seeds add tartness and intense tropical flavor. At Blue Hill at Stone Barns in Pocantico Hills, New York, chef Dan Barber prepares this soup with seasonal chicken (raised in late spring, summer and fall), using wings, backs, necks and feet. 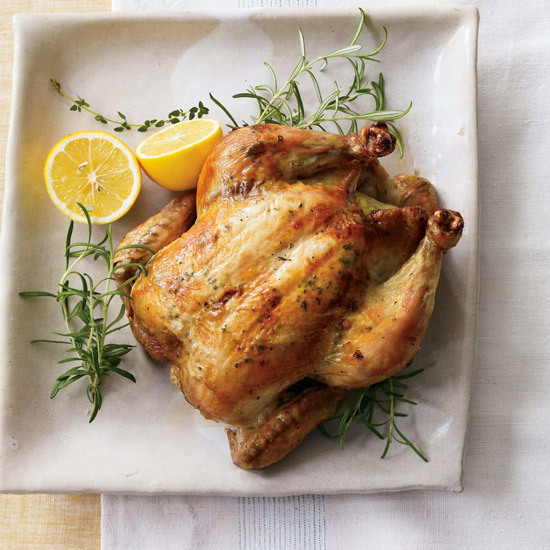 His recipe yields almost eight quarts of broth, so there’s plenty to freeze. 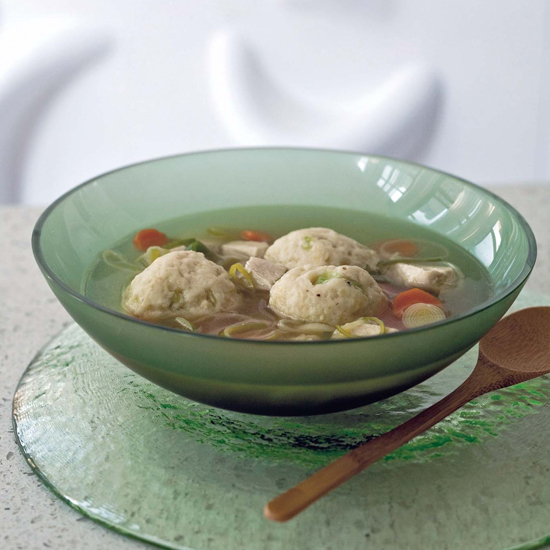 He likes serving the soup with fluffy matzo balls laced with rosemary. Kugel is a baked pudding, usually made with noodles or potatoes. This version, prepared with shredded potatoes and fried shallots, is crispy at the edges and deliciously creamy in the middle. A generous portion of bay leaves in the steaming liquid here permeates the artichoke leaves and hearts with flavor and provides an enticing aroma as you serve the dish. 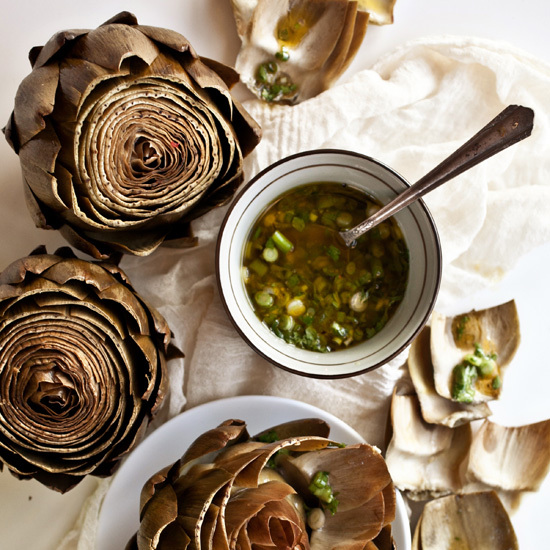 The scallion vinaigrette balances the sweetness of the artichokes. 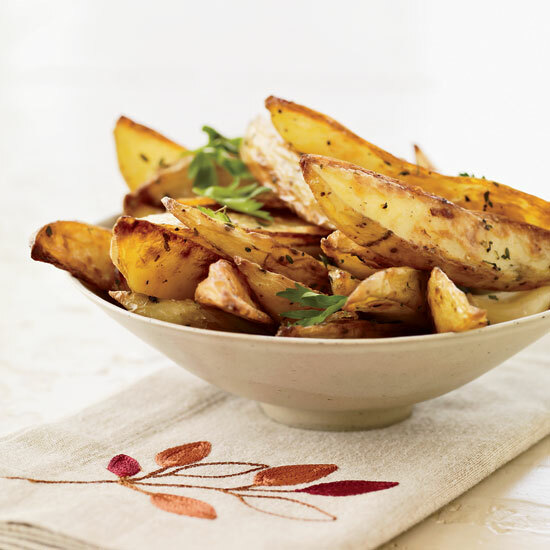 Skin-on potatoes, like the ones used for these crispy, low-fat fries, are high in vitamin C and potassium; they’re also a good source of dietary fiber and vitamin B. 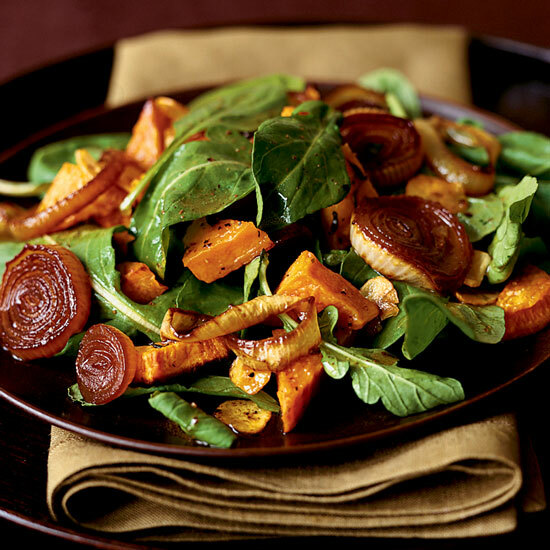 Beets and potatoes roast alongside each other in the same pan. 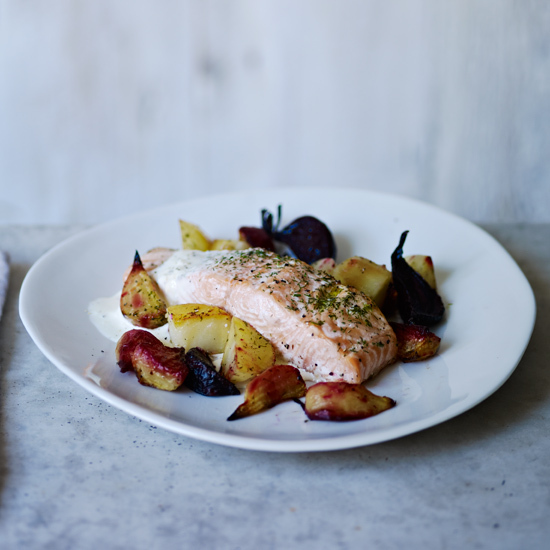 Wait until they're cooked to toss them together, though, or you'll end up with bright-pink potatoes. 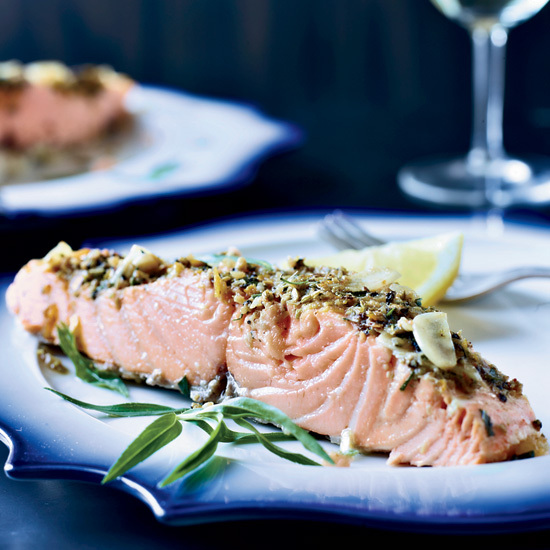 A fillet of salmon roasts at the same oven temperature, and a drizzle of creamy horseradish sauce tops them all. 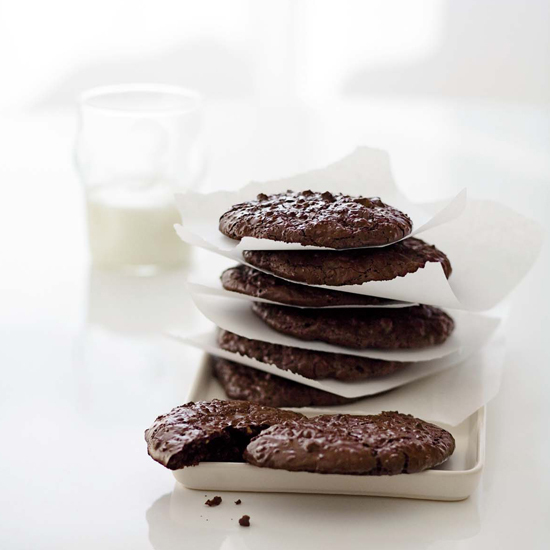 New York pastry chef François Payard’s divinely gooey chocolate cookies are flourless, which makes them ideal for Passover baking.